Once the capital city of Scotland, Stirling has a rich history. As well being dominated by Stirling Castle, a significant royal fortress, the nearby Wallace Monument, celebrating William Wallace, stands above the surrounding countryside. The area around the city is also known for two significant battles in the Wars of Scottish Independence – the Battle of Stirling Bridge and the Battle of Bannockburn. As well as the University of Stirling, some nearby locations were used in Outlander episodes, not least the impressive Doune Castle which was used as the Castle Leoch, home to Clan MacKenzie. The city of Stirling has, as of season 3, provided two important locations – Touch House and Stirling University’s Pathfoot Building, both appearing in season 2. With thousands of visitors arriving every year, Stirling is well equipped to look after tourists, including the growing number of Outlander fans. Our hotel recommendation is Hotel Colessio. As the name suggests, this is the town that gave its name to Doune Castle. 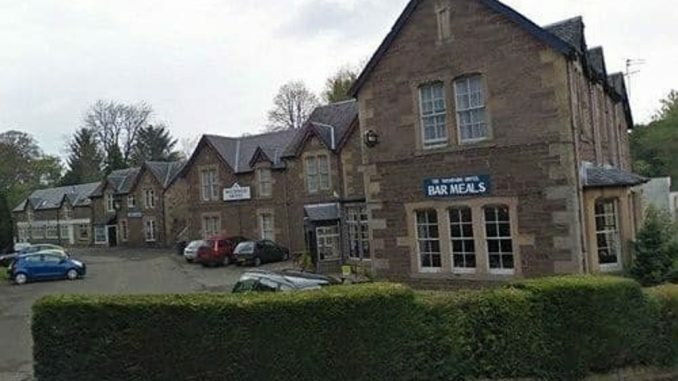 Also, close to the castle, is Deanston Distillery, used in season 2 as Jared’s warehouse. Both are close enough to be visited on the same day. There are four good quality accommodation options, including the The Woodside Hotel. The stunning scenery and breathtaking views, the Loch Lomond and Trossachs National Park is an area of amazing beauty that attracts thousands of visitors every year. The Oultlander film crew were presumably equally impressed, using locations in the area. There are lots of towns and village within the park area. 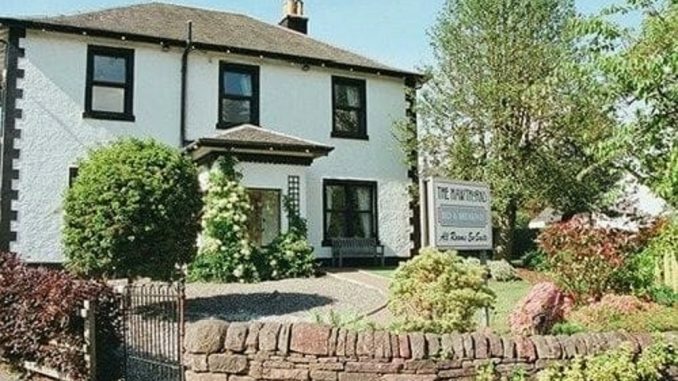 However, for choice and variety, as well as convenience (it is close to Brenachoile Point), Callander is, in our opinion, the best destination. 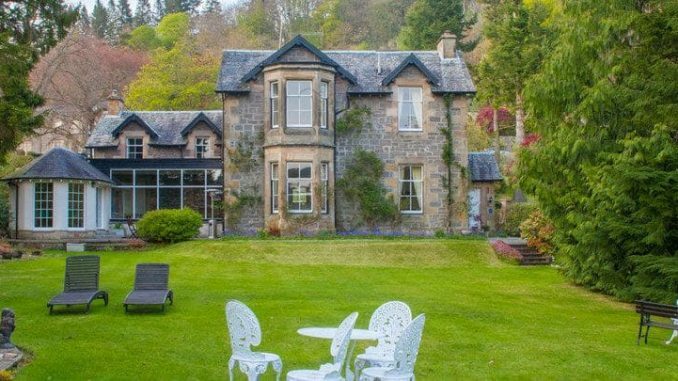 Of many of the good quality hotels and guest houses in the town, Lubnaig Guest House is definitley worth considering. Finnich Glen, site of The Devil’s Pulpit, is close Close to Loch Lomond. Fans will remember this as Liar’s Spring, where Dougal tests Claires honesty by forcing her to drink the water. 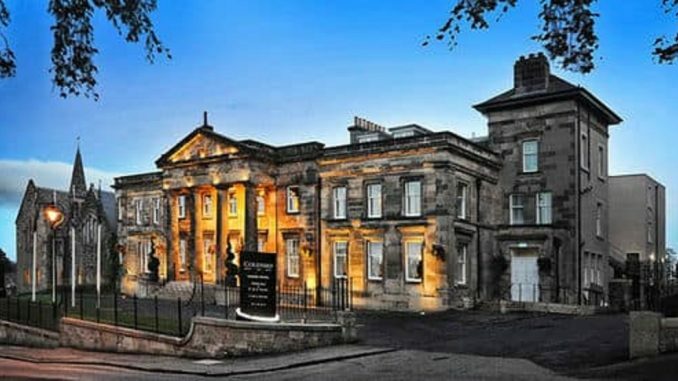 Close to this location, is the lovely town of Drymen, popular with both tourist and day-trippers. For those hoping to stay overnight, we’d suggest they look at The Hawthorns, which has received some outstanding reviews.